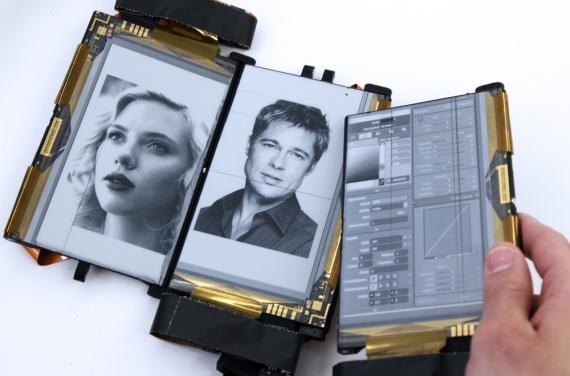 The most interesting projects of electronic devices have been introduced lately. Electronic devices we could only dream about before. 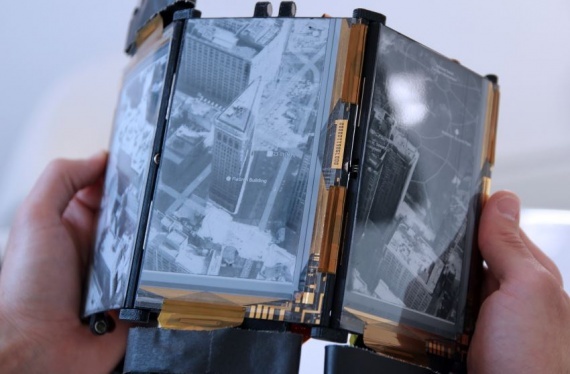 For example, a modular smartphone Project Ara should be introduced in 2015 by Google. 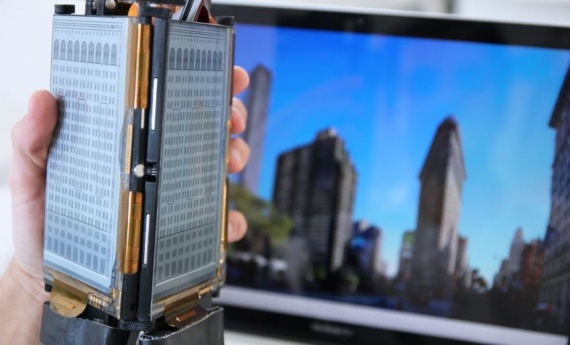 Also, one of these days information about a project of a “compound: smartphone” with three displays showed up on the Web. 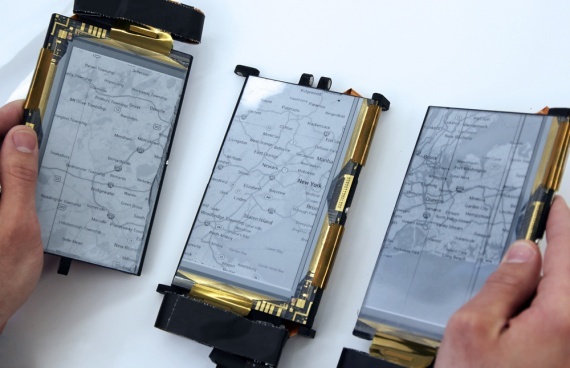 The displays – e-Paper, a flexible “electronic paper” by the PaperFold Company. Displays can be enabled or disabled and they can act like a single system and like three independent displays as well. 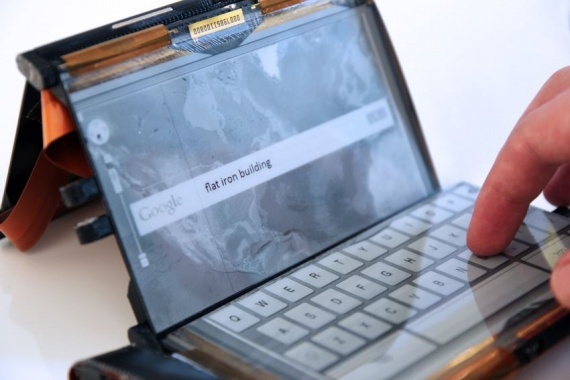 Thanks to this design you can make a mini-notebook with a touch keypad. 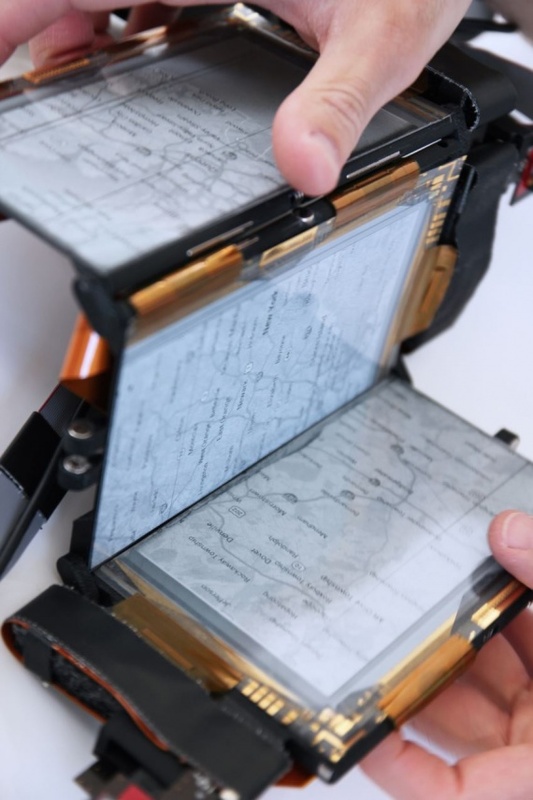 The displays are set up by a magnetic “clasp” which holds all the displays together. After that the displays automatically define themselves and can work as a single system at once. At this moment only a prototype of this smartphone is ready and it’s in pre-alpha stage, if you can say so. Hopefully, this project will come to reality – most likely, customers will turn up for such an original device.